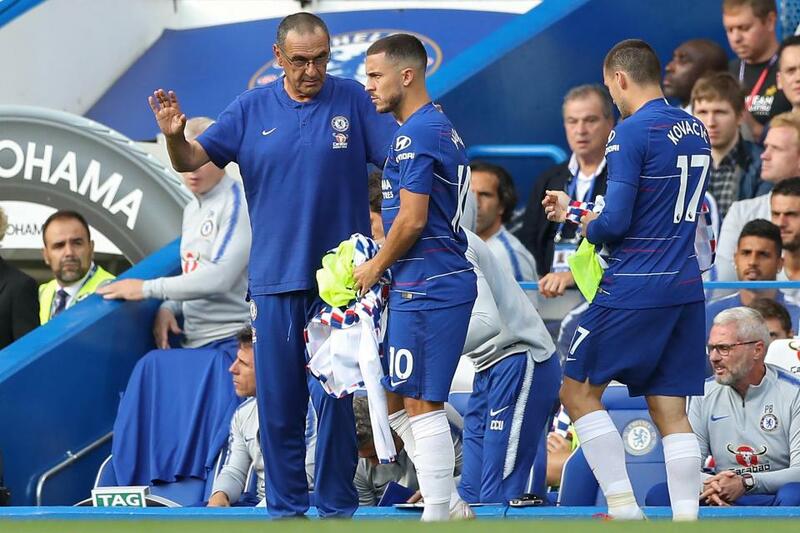 Chelsea star Eden Hazard believes Maurizio Sarri helps him to enjoy his football, unlike previous bosses Jose Mourinho and Antonio Conte. 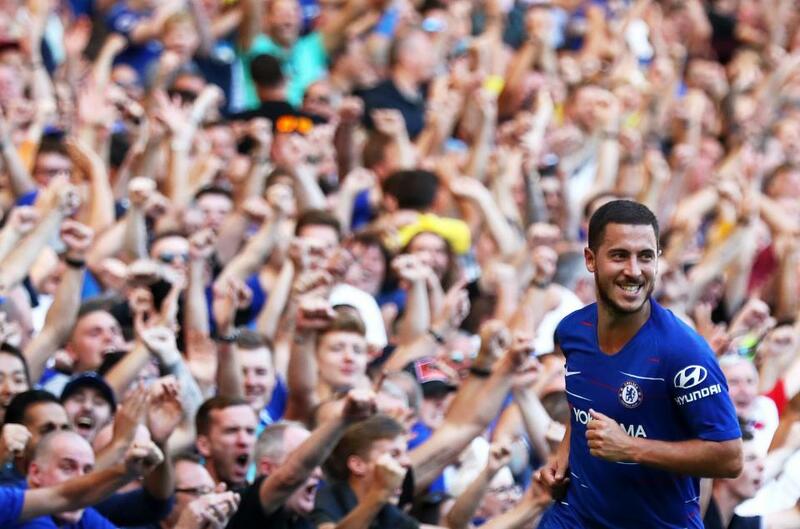 The 27-year-old has two goals and two assists in his opening four games under the new Blues manager and appears to be thriving with his possession-based style of play. After last season’s 1-0 defeat away at Manchester City, Hazard claimed he could’ve played for three hours and not touched the ball, as Conte forced him to chase aerial balls. Mourinho often criticised Hazard for ignoring his defensive responsibilities, but Sarri allows the Belgian to express himself in attacking areas with the ball at his feet. Hazard told Chelsea TV: “I like to have the ball. Not in my own half, but in the last 30 metres. “I like this type of game. It’s completely different than Conte or Mourinho before. Hazard, who was heavily-linked with a move to Real Madrid over the summer, previously said he was waiting to see who the club signed before making any decision on his future. And the additions of Jorginho and Mateo Kovacic – two accomplished, ball-playing midfielders – appear to have satisfied his wishes. “The big difference is we bring two players – Jorginho and Kovacic – and they are completely different,” he added.